Ugh. It's things like the Nokia N97 Mini that makes me think that Nokia lacks any new ideas and that they need to hire fresh people for their handset development department. Instead of fixing the problems and bugs on the Nokia N97 by introducing the fix on newer N97 handsets fresh out of the factory (like what Samsung did with the Omnia), they've decided to irk Nokia N97 users by introducing essentially the same handset, in a smaller form factor, with some of the N97's problems fixed. And here we have the N97 Mini. Judging from its name, naturally, the Nokia N97 Mini is smaller than its predecessor. The smaller form factor is attributed to a few inches of screen chopped off the original. The N97 Mini now only sports 3.2 inches of screen compared with the N97's 3.5 inches. The keyboard has also been revamped, with the directional pad being removed. A lot of users have been complaining about the N97's poor construction so Nokia opted to remedy this with a metal back casing but left out the camera lens cover found on the original. Aside from that, all other aspects of the phone remain the same. Like I said, aside from having the small form factor, the Nokia N97 Mini is essentially the same handset except the latter also has lower internal memory (only 8GB vs. 32GB of the original N97). In terms of the OS, it has a slightly upgraded firmware compared with the original N97 as it now has a lot of kinetic scrolling available on the menu. However, the original N97 phone will also feature kinetic scrolling in its upcoming firmware upgrade so when the N97 Mini will be released all it can really offer is its size. What turned me off the Nokia N97 is a lot of problems surrounding it. Numerous people have returned their N97's due to different complaints and I'm not about to be one of those persons. If Nokia is able to address all those issue on the Nokia N97 Mini, then people who are thinking of buying the N97 would probably opt for the newer version, plus the Mini is slightly cheaper at 100 Euros. So if the N97 Mini offers a cheaper price and is more pocktable, what does the Original N97 has to offer now? Well, if you prefer a wider QWERTY keyboard and a bigger internal memory, then you might want to risk buying the N97, in the hopes that you won't get a defective unit, otherwise, until someone can confirm that the Nokia N97 Mini is bug free, let's all hold off buying it until the user reviews come in. My N97 is just full of bugs, I'm so frustrated and now Nokia is touting the Mini which they say, have solved some of the problems with the N97. Great, just great, Nokia, so you're basically saying that we buy a new phone instead of you fixing our N97s?!!! Partner just upgraded from a N93 to the mini and is regretting it already. Brand new and already showing memory full messages, half the options don't work, the screen keeps on going completley white while you are trying to do something and you need fingers the size of a very small child to use the scrolling bar. Not impressed so far. No kidding?! Looks like Nokia haven't fixed their bugs yet. Now I'm having second thoughts about the N900. I really wanted to buy that one but heard a lot of bad rep about Nokia's recent phone releases, particularly, the N97. Although the iPhone3G S is a very smart phone, it not intelligent enough to compete against the Nokia N97 Mini. The Nokia N97 mini is like having a mini super computer on your pocket. 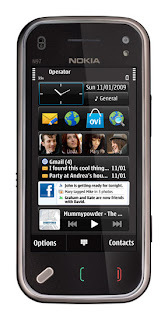 The features of the Nokia N97 Mini are very impressive compared to the iPhone. 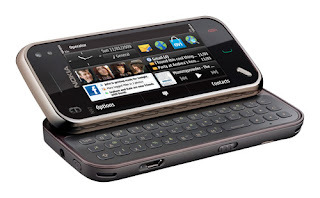 how can a company like nokia produces this N97 mini ? I bought it before two weeks and I am sick of it. The battery life is worst. I can not use it even for a day. In text message option a aotu massage center is created frequently even after I delet it. And there by every time I want send a SMS I need to fix this massage center. Fortunately I bought it directly from NOkia sales center. I bought n97 mini around 7 days ago and the battery i tell you is going like water in the drainage when its raining. it dosent last for 2-3 hours a day. i have to put the phone on charge several times a day. What is nokia doing? IPHONES battery lasts for about 2 days as for my consumption But nokia huh.. Nokia will never be able to beat Apple's IPHONE with its new gadget N900. I have the N97 mini. It has been returned once already. The phone does not work with my car kit. The phone keeps telling me bluetooth connection disabled and use your handset... very helpful when driving!!!!! Regret the day I signed for 18 month contract!! Look here guys, there's'no electronic gadget on planet earth that doesn't contain bugs. The n97 mini is a great phone. Though it wouldn't boast as a perfect phone. Nokia is still working towards increasing the satisfaction of their customers. To talk of the battery life, almost all smartphones have a poor battery life, so y'all should embrace it! Waht to Truck Loads of problem with the handset , Signal reception , Screen dancing like Elvis presley, Automatic restart , 90% of the time its in Hang state , connect a Wi-fi and phone surrender to eternity ,, seems saying why are u using me ,,.